Renate studied international business and languages (English, French, Italian) at the Vienna University of Economics and Business graduating with MBA and PhD degrees. She worked as a university assistant and lecturer at the Department of Business English until 1991. She received musical education in piano and singing, and has been a member of the Concentus Vocalis for over 20 years including concert tours throughout Europe, and recordings for radio, TV, and CD. Since 1989, she has served as general manager of Wiener Jeunesse Orchester (WJO), the national youth symphony orchestra under the patronage of Jeunesses Musicales of Austria. In 1994 she became a co-founder of the European Federation of National Youth Orchestras (EFNYO) aiming at the collaboration of the leading pre-professional youth orchestras in Europe. As an EFNYO board member and later on vice-president, she participated in the European Forum for Music Education and Training (EFMET) in cooperation with the European Music Council (EMC). Following her appointment as EFNYO president in 2005, she devised the pilot project "MusXchange" for the transnational training and mobility of pre-professional musicians. The project which is now in its third cycle, receives co-funding from the European Commission and involves partnerships with EFNYO orchestras, professional orchestras and festivals in Europe and beyond. Between 2012-14, she served as an external expert in the Working Group “Life-Long Learning: Educating for Entrepreneurship” within the POLIFONIA Project of the European Association of Conservatoires (AEC). She has been a member of the board of the Austrian Music Council (Österreichischer Musikrat) since 2008. She is co-founder and co-chair of the "Platform|Youth Orchestras|Austria" which was established in 2016. In recent years, she has broadened WJO's profile to offer further training for aspiring music professionals with regards to stage presence, career planning, entrepreneurship, musicians' health, chamber music, improvisation, engaging with audiences, and outreach skills as part of the new format "WJO Academy". Renate has engaged in research and publications focusing on youth orchestras, the advancement of young musicians and women in music, among others for the Austrian Music Journal and the International Arts Manager Magazine. She was a member of the editorial team for the handbook “women/music_austria”, published in German/English by the Federal Ministry for European and International Affairs, Vienna (2009). After completing his studies of Engineering and Acoustics at the INSA de Lyon, Pierre worked as an acoustician from 1989-1996. He also studied bassoon at the conservatoires of Lyon, Saint Maur and La Courneuve, and has been playing regularly in orchestras and chamber music groups. In 1996, Pierre was appointed Director of the Orchestre Français des Jeunes. In this position, he has worked alongside renowned musical directors such as Marek Janowski, Jesus Lopez Cobos, Emmanuel Krivine, Jean-Claude Casadesus, Kwame Ryan, Dennis Russell Davies, and David Zinman for OFJ Symphonique, and Christophe Rousset, Paul Agnew, Reinhard Goebel, Christophe Coin and Leonardo Garcia Alarcon for the OFJ Baroque. Since his arrival, the orchestra has undergone major development and established itself as an important player in the field of higher music education in France. Next to the creation of the OFJ Baroque in 2006, Pierre's achievements include the acknowledgement of OFJ programmes within the Bologna process, the participation of OFJ members in European-wide exchange programmes, the introduction of educational concerts for various audiences, the training of musicians in outreach skills, moderation, historic interpretation, musical entrepreneurship, etc. He has served as vice-president of the European Federation of National Youth Orchestras since 2005, in which capacity he contributed to the creation and development of the mobility programme "MusXchange" with partner orchestras throughout Europe. He is also artistic administrator of the orchestras at the Verbier Festival, Switzerland. Saulo Muñiz has a Spanish and German cultural background, having lived in both countries and gained a thorough understanding of both cultures. He studied music and violin in private schools with private teachers. He obtained degrees in sociology, social psychology, documentation and cultural management from the Universidad Complutense de Madrid. Saulo has also worked as a German-Spanish translator and interpreter, in design, at music publishing houses, for cultural associations, in radio stations, at scientific documentation centers, and in social research. For the last twenty years, he has worked as an artistic coordinator at the National Youth Orchestra of Spain (JONDE), coordinating the employment of and communication with artistic personnel, the handling of international relations, PR, the orchestra’s publications, databases and new technologies. Saulo Muniz has served as treasurer of the EFNYO board since March 2006. Hollie received her Bachelor’s and Master’s Degrees in Music with highest honors from the University of Southern Mississippi. She has won prizes in various international voice competitions, including Second Prize in the T.I.M. - International Tournament of Music - of Rome. She was awarded a prestigious Rotary Foundation Ambassadorial Fellowship to conduct post-graduate research and continue her study of opera in Italy. During this period of time, she earned a specialization Diploma in vocal music (opera and da camera) from the G. Frescobaldi Musical Institute of Perugia as well as a Diploma in Italian-English translation from Perugia’s University for Foreigners. As a recitalist and on the opera stage, Hollie has sung principal roles in operas of Bizet, Verdi, Rossini, Puccini, Mozart, Bernstein and many more in more than 50 cities in the U.S., Canada, and Europe. In 2009 Hollie began a collaboration with the esteemed Scuola di Musica di Fiesole (Italy) where she works on European Projects and Productions, including European Project Management for the Orchestra Giovanile Italiana in collaboration with the European Federation of National Youth Orchestras. Hollie is co-translator of the book Toscana: Una scena incantata by musicologist Cesare Orselli (publisher Giunti Editore), and was guest speaker at the 31st International Congress of Musicology at the Medici Villa of Artimino. 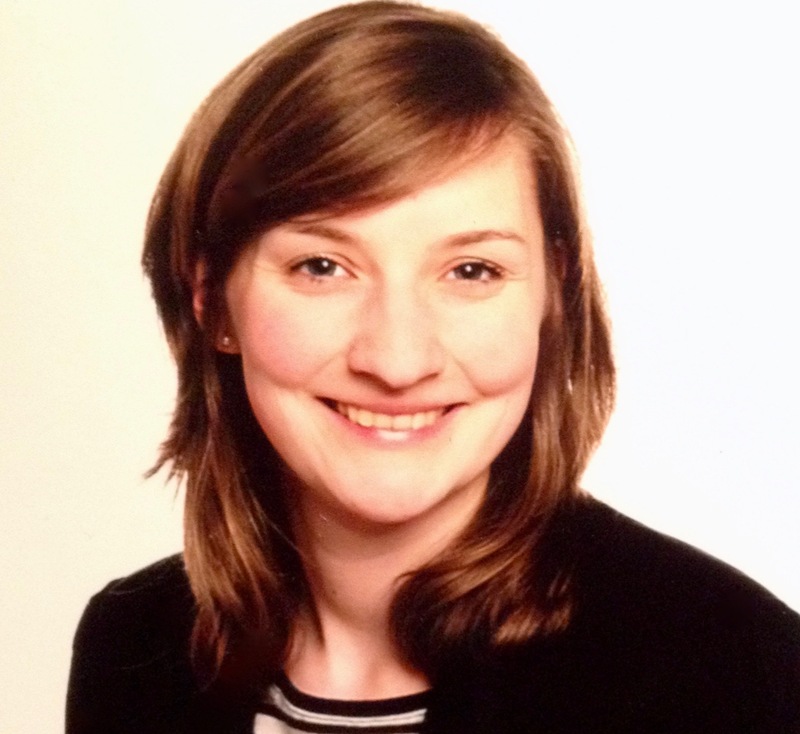 Hollie has served as secretary of the EFNYO board since 2013. Marin studied cello at the Ciprian Porumbescu State Conservatory and was a laureate at international competitions held in Geneva, Markneukirchen, Leipzig and Bologna. Since 1983, he has been a soloist in the George Enescu Philharmonic and has performed under the batons of several outstanding conductors in Romania, all over Europe, in Asia and the two Americas. He has also performed as a member of various chamber music ensembles in the company of prestigious artists, and his name is seen quite often in the ads of important festivals in Europe and Asia. Since 1992, he has also worked as a professor at the Bucharest National University of Music. In 1998, he founded the Cellissimo Quartet and Violoncellissimo Ensemble. He has been invited to lead master classes in France, Germany, Italy, Spain, Portugal, Hungary, Norway, Belgium, Moldova, China, and Austria. In 1999, Marin set up the International Festival Enescu and the Music of the World, held every summer in Sinaia on the eve of the great musician’s birthday (August 19, 1881). For the organisation of this festival and the foundation of the first national youth orchestra in Romania, the Orchestra Română de Tineret under the baton of Cristian Mandeal, he was given the Project of the Year Award by VIP and Actualitatea Muzicalămagazines in 2008. In 2004, Marin was honored with the Meritul Cultural (Cultural Merit) Order and Chevalier degree, and was awarded the title of Doctor of Music in 2006. In 2014, he was appointed manager of the Centrul National de Artă Tinerimea Română (Romanian National Youth Art Centre). Marin has served on the EFNYO board since 2013. After his studies in Political Sciences at Sciences Po Lyon with an ERASMUS exchange with the Hauptuniversität Vienna (2004), Vincent completed his studies with a master degree in cultural management in Sciences Po Strasbourg. Vincent has worked with the Abbaye aux Dames, la Cité musicale, Saintes (France) since 2015 as European projects coordinator by developing the activities of the Jeune Orchestre de l'Abbaye (JOA) thanks to the European Social Funds. Vincent worked with Catherine Puig, JOA director, for the opening of a JOA master degree in music (2012) in partnership with the University of Poitiers. This integrated theory/practice master degree hosts 15 musicians each year. For the JOA, he coordinated the interdisciplinary project "EUR-TEXT - Back to the future!" www.eurtext.eu (2012-2014) with the Janáček Academy of Music Brno (CZ), the Academy of Fine Arts Lodz (PL) and Soundscapes - Maltese Association for Contemporary Music (MT) in the framework of the EU CULTURE program. Vincent participates regularly in training sessions organised by Relais Culture Europe in Paris. During his free time, he is also amateur pianist. Vincent joined the EFNYO board in October 2017. Ewout van Dingstee studied cello at the Conservatory of Amsterdam and the Staatliche Hochschule für Musik in Karlsruhe (Germany). Already at a young age he was a dedicated chamber music and orchestra musician. While still studying he was invited regularly as a substitute cellist in many Dutch professional orchestras and shortly after his graduation he won the audition for a permanent position as cellist in the Orkest van het Oosten/Netherlands Symphony Orchestra. Together with his two sisters, both violinists, he founded the successful Van Dingstee Quartet which toured Europe and the United States during over 30 tours. After having played in professional orchestras for over 15 years he was appointed artistic manager of the Orkest van het Oosten/Netherlands Symphony Orchestra in 2008. While continuing playing as a chamber musician he thus became responsible for the orchestra’s complete artistic management, special projects and educational department. In 2013 he was appointed artistic manager of the Rotterdam Philharmonic Orchestra, where he worked with great conductors such as Valery Gergiev and Yannick Nézet-Séguin. Having had the opportunity of learning the profession of orchestral musician as a former member of the National Youth Orchestra of the Netherlands (NJO) himself, Ewout returned to the organisation as artistic leader in 2015. Since February 2018 he is appointed both executive and artistic director of the National Youth Orchestra and its own 17 day summer festival, the NJO Muziekzomer. He is also responsible for the merge of the NJO with its “younger sister orchestra”, the Youth Orchestra of the Netherlands for young musical talents aged between 14 and 19 years, into one organisation serving as a national institute for talent development in orchestra and ensemble playing. Ewout joined the EFNYO board in 2018. Malina received her Bachelor's degree in European Studies at the University of Eichstätt-Ingolstadt including five months of studying in Trondheim, Norway. She did her Master's studies in music journalism at the University of Music in Karlsruhe. Since 2015 Malina has been studying for a post-graduate master in communicating music at the Anton-Bruckner-University of Linz. She worked as an intern at the Bayerischer Rundfunk in Nurnberg and Munich, at the Rundfunk Berlin-Brandenburg in Potsdam, at the festival for contemporary music "Eclat" in Stuttgart and at the Theater an der Wien. Malina is active as a music communicator and has been working as assistant manager with Wiener Jeunesse Orchester since December 2015. In January 2017, she was appointed project manager and secretary of the EFNYO.